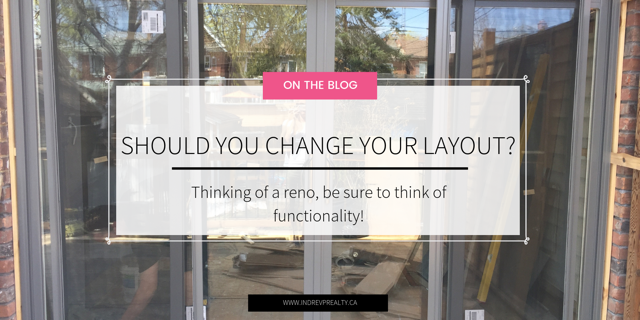 When you’re planning a renovation, does it make sense to change the layout of your space? With many homes in Bloor West Village, what previously worked for people when these homes were built, doesn’t necessarily ring true for us today. Be sure to think of functionality and what works for you and your family. For this particular renovation our plan was to update the kitchen and remove the wall in between the kitchen and the dining room. Take a look at the pictures below. Full disclosure, these aren’t pretty, high-resolution photos. But guess what? Renovations are ugly and messy!